Families of three to six can have fun learning golf while spending time together in a beautiful outdoor setting. Tell us the make-up of your clan and together we'll customize a casual, fun-filled golf instruction program for your family. Must have minimum of 3 to qualify for this program; maximum of 6. $199 per hour for total group. 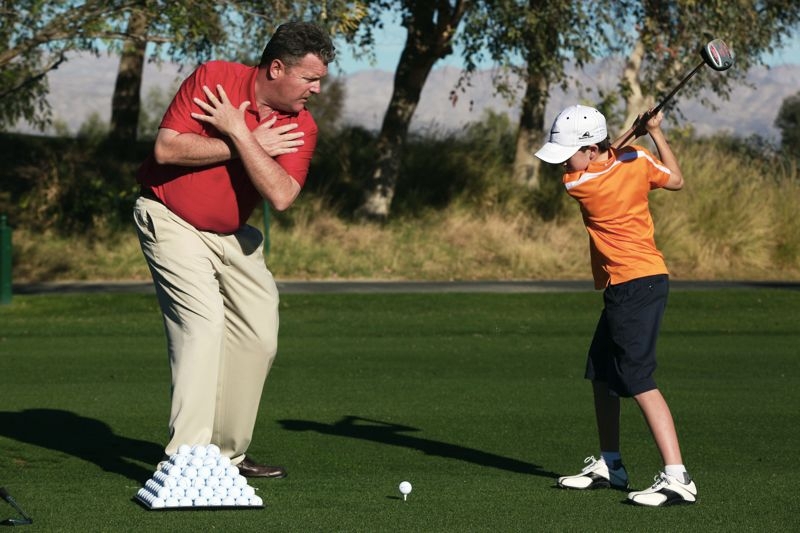 Marriott Golf Academy℠ at Marriott's Grande Vista and Marriott's Shadow Ridge is passionate about inspiring and developing young golfers. Juniors age 17 and younger are eligible for a discount, and our Kids Learn-4-Free program allows juniors to accompany an adult during a 1-Hour Private Lesson when the regular adult rate is paid for the lesson. We also have seasonal junior golf programs. Marriott's Shadow Ridge and Marriott's Grande Vista also participate in the Kids Golf-4-Free program which allows juniors, 15 years and younger, to play golf for free after 3:00 p.m. when accompanying a paying adult during their round. Both programs are valid for one junior per adult.